Tonight, I faced a dilemma. Our little town has the most charming downtown. Businesses invite littles to come trick or treat and a local church has a great trunk or treating event. The plan was to go there. After nap time, Lydia was persistent that “Today is NOT Halloween. Today Friday. Tomorrow Halloween.” But I explained our town treats today like Halloween. As we were running to the van, it started to pour. 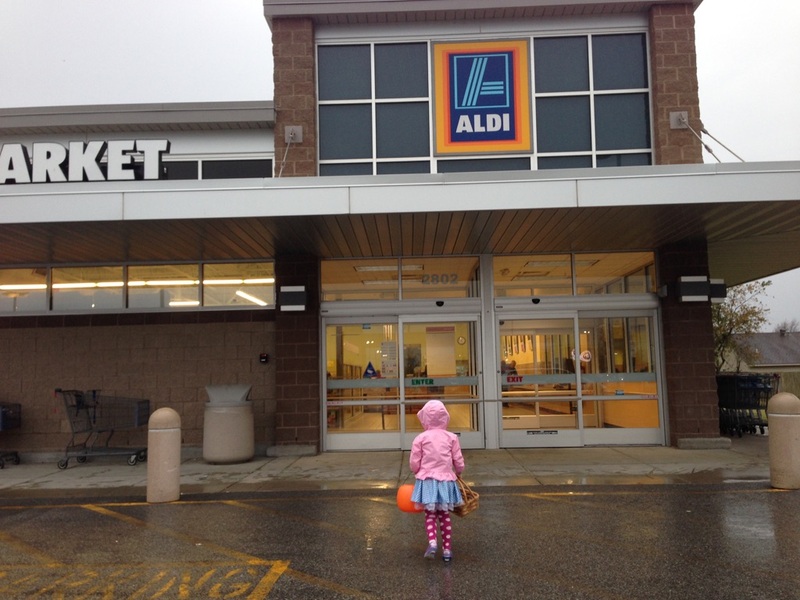 So I told Lydia we were going to Trick or Treat at the great land of Aldi – like this is all totally the American thing to do. As any good mommy should, I documented the event. She was so excited walking in with her Jack-O-lantern (she made sure I knew it was a pretend one) and her basket. Normally, she stays right by my side but was in a rush to get inside. 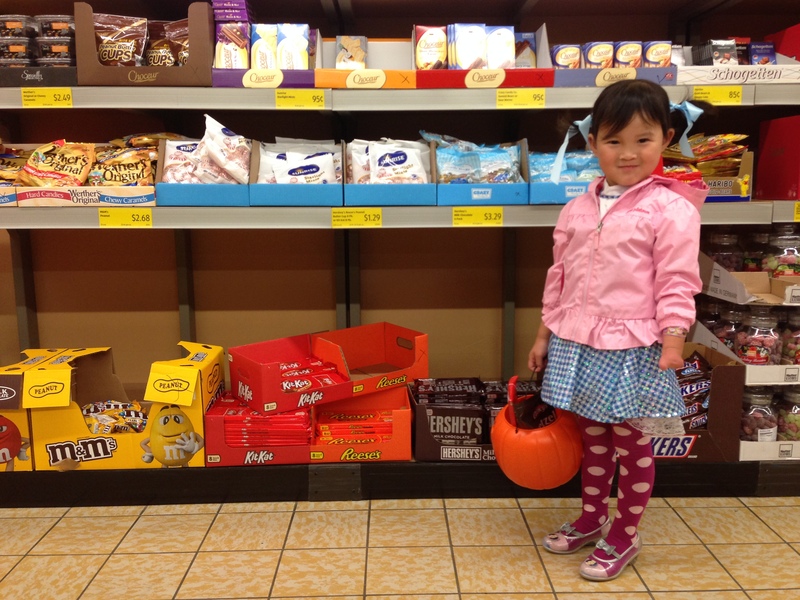 When we Moores “trick-or-treat” at Aldi, little Moores get to pick two of whatever candy they want. Mom has no say. 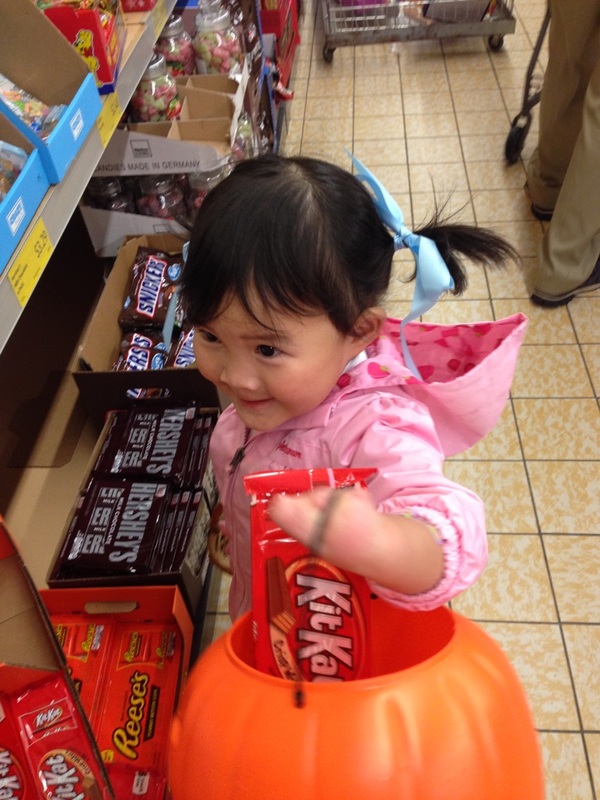 Lydia decided the fun size weren’t that fun, and opted for the big stuff. She got Kit Kats and chocolate covered pretzels. Posing for her trick-or-treating picture. What a cutie. 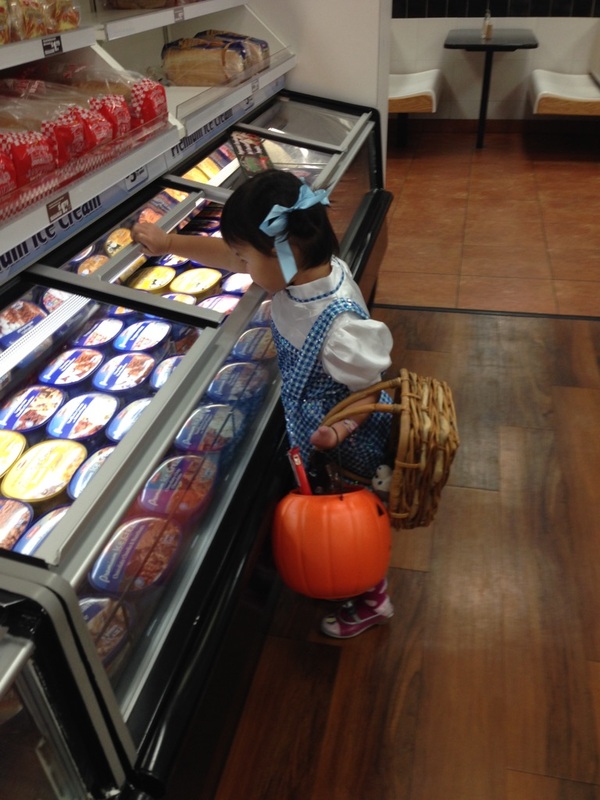 And after, we went to Braum’s to “trick-or-treat” some more. Friends, this is the best kind of trick-or-treating EVER. Send a personalized Christmas/Holiday video instead of cards this year AND help us raise funds to bring our son Barrett home. Win-win? We think so. Let’s get Barrett home by Christmas! We will create personalized Holiday/Christmas Card Videos for only 20 families. Do not wait! All of the wording is customizable, so if you want it to say “Happy Holidays!” instead of “Merry Christmas!” we would be happy to do that. 1. Choose a theme. Watch a preview of each theme below. Send some holiday cheer and updates about your family with this fun theme. 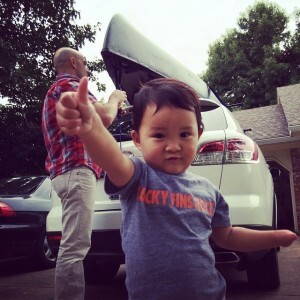 What to send us: 17 photos or videos and text for each placeholder. How to send: Upload your photos/videos and a text document using this link: https://www.hightail.com/u/verge Also let us know in the message area which theme you want. Share your family’s Top 5 Moments, your travel adventures, and more! What to send us: 12 photos or videos and text for each placeholder. This is a beautiful theme featuring real footage of a spruce tree in the snowy woods decorated with your family’s photos and videos. What to send us: 16 photos or videos and text for each placeholder (or leave the text the same as the example). Give your family, friends, or clients a good chuckle this Christmas by turning yourselves into bobblehead characters. What to send us: Up to 11 photos of people to include, text (and a logo if you want) for the front of the envelope, text for the front of the card, and text for the back of the card. To Send a Family Album or Not? 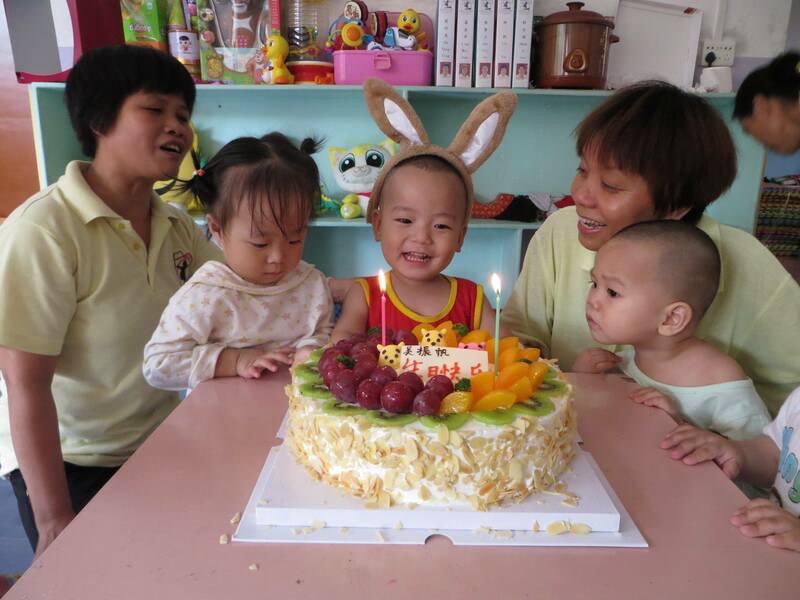 I frequently see China adoptive families ask if they should send a family album to the child they are adopting in China? We opted to only send photos of our immediate family – mama, baba, two doggies, and big sister Lydia. When we sent an album to Lydia, it included baba, mama, and the two doggies. Lots of families ask if they should send photos of grandparents and aunts and uncles and cousins. Lydia was overwhelmed with just a mama and baba.Once she started to adjust at home, we started a photo book of our extended family. This gradual transition helped her. Lydia has been in the United States 1 year and 7 months today. She has still spent more time in her orphanage than with our family. But this morning, as I was swinging her in her sensory swing, we were talking about her being a big sister to Barrett. We hope to travel in December to adopt him. I explained to her that I made sure to send him a family book too and that it had her photo in it, and mama, and baba, and the doggies. Lydia was only 23 months old, and she vividly remembers getting that book. The family book is one of the only things that connects her life before us and her life with us. 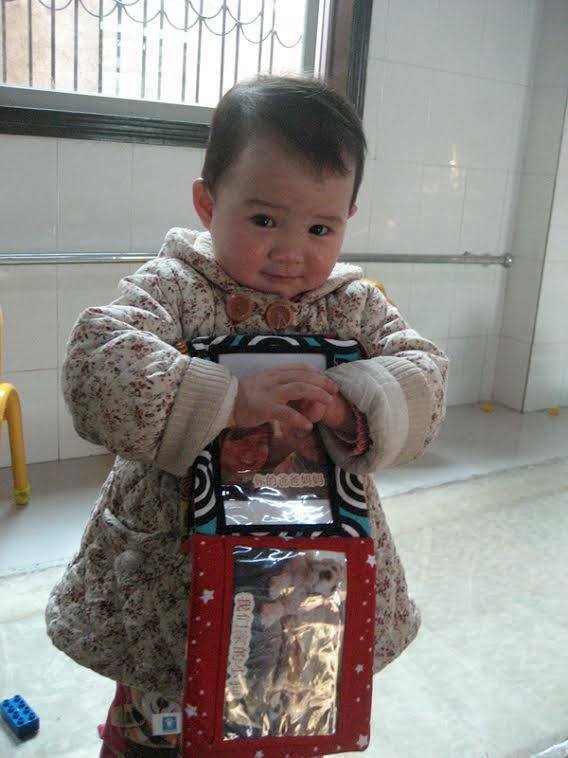 Other than what she was wearing on the day we met her, it is the only thing the orphanage sent with her from her life before. She treasures it. And so, if you are debating sending an album, do it! It is such a helpful tool and a treasured item. One of the most frequent questions I hear is, “What books should I read to prepare me to parent a child through adoption or foster care?” As a researcher (education/business) by training and parent of a child who truly needs a different approach, I have spent most of the past three years reading everything I could get my hands on. Below are my favorite books. I must say, to be on this list, they must be books that have really helped us get through very, very, very difficult moments (moments that won’t be written about). So they pass the street test, if you know what I mean. 2. The Connected Child by Drs. Purvis and Cross – Though written by researchers who are Christians, this book is not a Christian book, so it is definitely good resource for secular and religious audiences. 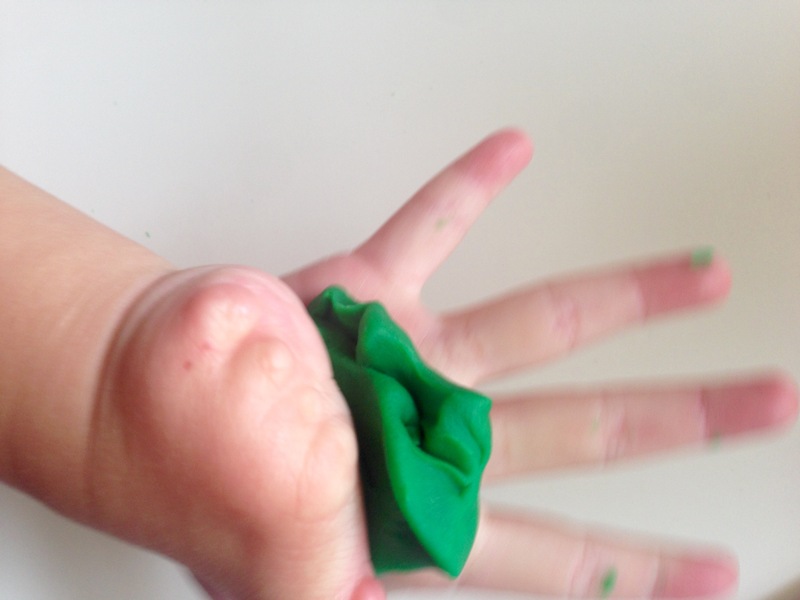 Many friends with young kids, after witnessing our interactions, ask where we learned these techniques. We use all of the scripts from The Connected Child, and find that it helps Lydia and it helps us in our parenting. Though this book is written to parents of kids from “hard places” (early hospitalization, trauma in pregnancy, orphanage, adoption, etc. ), all of the techniques would benefit kids without trauma. It is an attachment based parenting approach. A must read. 3. No Drama Discipline by Siegel and Bryson. This book is written for all parents, and is not technically an adoption text. The book shares a lot of research about a child’s brain and gives excellent attachment based techniques to help parent. I have found the book very complementary to TBRI (Purvis and Cross). I would recommended this book to all parents as a must read. I like this book better than The Whole Brain Child. 4. Parenting Your Internationally Adopted Child: Your First Hours Together Through the Teen Years by Cogen. This is an excellent resource for international adoptive families. It is a book that I’ve gone back to reference as Lydia has reached different developmental milestones. The book includes information not contained in other books, and it has been very helpful and true for us. It is not a book you sit down and read in one sitting. Get this, read it. It has a five star rating on Amazon for a reason. 5. Beyond Consequence, Logic, and Control by Forbes and Post. Forbes is an adoptive mother (helpful) and therapist who shares an attachment based approach to raising kids who have experienced trauma. It is very popular in the Parenting with Connection Facebook Group (this is a group I highly recommend to adoptive families). I found that both volumes 1 and 2 helped me understand how my child’s brain is different than others. It was complementary to Purvis’ work. I have noticed that some who struggle more with TBRI and how to implement it, find this more accessible. For me, though I know it is different than others, I find TBRI more helpful in the day to day. However, this book gave me great insight that has complemented TBRI. For example, I noticed that there were times I pushed Lydia for eye contact, and that further disregulated her. This book helped me understand why, and how to change my approach. 7. Attaching Through Love, Hugs, and Play by Deborah Gray. I am currently reading this EXCELLENT book, another by Gray. It is very practical and helpful with simple techniques to connect. The pictures throughout the book are great for parents too. I get lots of emails from adoptive parents who want very practical techniques. If they’ve read The Connected Child, this is the second book I recommend. It is very good, and very practical. 8. Theraplay: Helping Parents and Children Build Better Relationships Through Attachment-Based Play by Booth and Jernberg. This book is written for therapists and social workers, though another adoptive mom and I have said it is a model that just makes so much sense and is very helpful. I wanted to learn more about a technique that has helped my family so much. TBRI (Cross and Purvis) say that Theraplay is the type a therapy modality they recommend for kids from hard places. I have written about my experience with Theraplay here. Also, TBRI utilizes several Theraplay techniques. For friends who are social workers or therapists, this is a must read. I have attended Theraplay Parenting classes in addition to going to therapy using Theraplay. I highly recommend this approach. We drive to Family Hope House in Tulsa, Oklahoma for play therapy with a licensed Theraplay therapist. 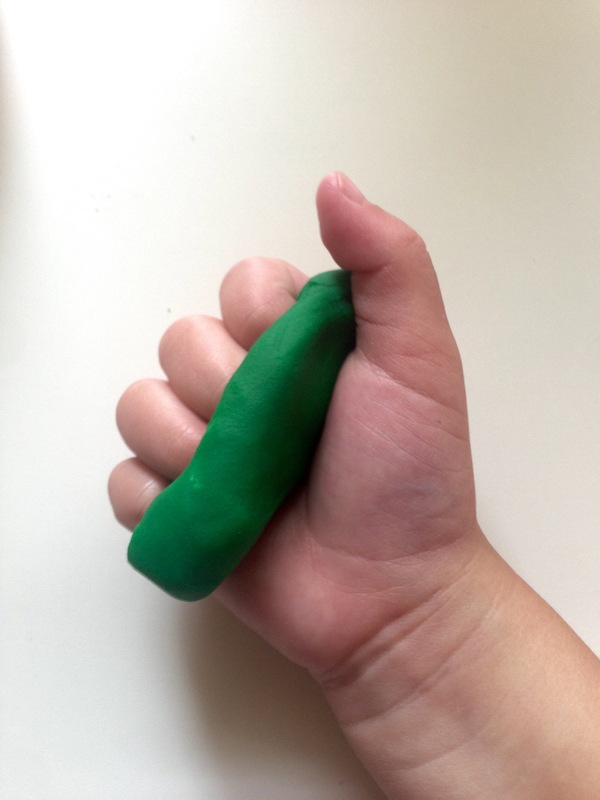 Just a note – often, people equate PLAY therapy with Theraplay. They are not the same. What are the books you consider must reads? What books are on your reading list? Bryson recently made a documentary film for our adoption of Lydia. We would love for you to watch us become a family.